A 2010 lawsuit against the popular internet-streaming service Netflix has finally reached a settlement in which the company must now provide 100 percent captioned content for the hearing impaired by 2014. 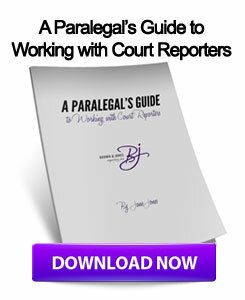 As reported by this blog, court reporters have oftentimes doubled as captioners due to their skills in transcribing conversations and spoken word at real-time speed. The lawsuit was issued by Lee Nettles, from the Western Massachusetts Association of the Deaf and Hearing Impaired. In June, a federal judge ruled that Netflix, as well as any other electronic content provider, is subject to the American Disabilities Act, which is the first ruling of its time since the law was enacted in 1990. Other services such as Amazon.com, iTunes and Hulu must also now provide closed captioning options, increasing demand for court reporters nationwide to transcribe the audio for popular television shows and films being streamed on these hosting services. "Deaf and hard of hearing people need 100 percent of the content to be closed captioned so that they can access this wonderful new service in the way that hearing people can," Arlene Mayerson, directing attorney for the Disability Rights Education and Defense fund who represented the plaintiffs, told the Boston Globe. Although Netflix may now have to offer 100 percent captioned content by 2014, a recent federal mandate has put pressure on internet broadcasters to offer this service for any content that has previously been, or will be, broadcasted on television. As more services must offer captioning, these hosts may want to partner with certified real-time court reporters who can keep up with the pace of live events with near complete accuracy. This entry was posted on Friday, October 12th, 2012 at 11:24 am	and is filed under All Posts, Court Reporting News. You can follow any responses to this entry through the RSS 2.0 feed. You can skip to the end and leave a response. Pinging is currently not allowed.